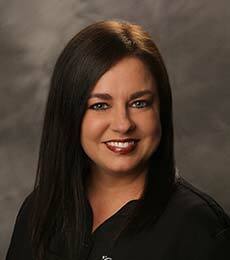 I am the Office Manager for our office, and I love helping our patients with their dental treatment needs. My passion for dentistry started over 20 years ago as a dental assistant when I received my expanded functions dental assisting certification from the Florida College of Medical and Dental Careers. Over the years I have acquired an extensive knowledge of dentistry that allows me to maximize your insurance benefits. I also can provide affordable financial options that will allow you to receive dental treatment without delay. I am here to help with any dental treatment or insurance questions you may have so please don’t hesitate to call me. I am married and have one son, stepson and a stepdaughter. I am a rare Florida Native and grew up in the North Tampa area. I love hanging out at my favorite beaches enjoying the sunshine. My hobbies include running and exercising. Hello, I’m Denise Hall. I am a registered Dental Hygienist. I have been in dentistry for 30 years, and I’ve been a part of the incredible dental team at Dr. Nelson’s office for 15 years. I have built strong, lasting relationships with my patients and they often tell me I have a gentle touch. My goal is to create a comfortable environment, and provide a thorough dental cleaning for each and every patient. I’m extremely confident in the quality of our dentistry that I have willingly referred many personal friends and family to this practice. When the gloves are off and the office is closed, I enjoy quality time with my husband and three sons. My husband Brad and I have been married 24 years and we are constantly busy with our children; Joshua, Benjamin, and Joseph. Outside of my home, I am active in my church’s choir and praise team all while making time for running and exercising. Thanks for your time reading about me, I would love the opportunity to learn about you, all while shining your pearly whites! Hello! Did you sleep well last night? I’m Frances, the Dental Sleep Medicine program manager for Dr. Nelson. I have over 23 years of experience as a dental assistant. I enjoy helping our patients find relief from snoring, sleep apnea, and freedom from the CPAP machine. The best part of my day is when I hear a patient say, “this sleep apnea oral appliance has changed my life!” When I’m away from the office, I love to travel the world and volunteer for various non-profit organizations. My husband and I have raised two wonderful boys who are both attending college now. Both boys have always been active in sports and played musical instruments, so my latest project is figuring out how to redecorate the “man cave” and cook for two again. When you visit Nelson Dentistry, I will take the time to get to know you and make it my mission to help you get a better night’s sleep. I am a native Floridian, I have lived in the Pasco County area my entire life. I graduated with an Associate of Science in Dental Hygiene from Pasco Hernando State College, I have over 25 years of experience in the dental field. I started my career in dentistry as a dental assistant prior to returning to school to become a Dental Hygienist. I am dedicated to my patients and my profession and enjoy taking continuing education courses to make sure I am providing the best care possible to my patients. I came on board with this amazing office in February of 2017 and haven’t looked back. I am so very blessed and grateful to be working in such an amazing office with an amazing team and even more amazing patients. I am married with 2 awesome boys, one wonderful daughter in law and a very special grandson, that’s right I’m a grandma!!! I enjoy spending time with family and friends as well as traveling, but I think what I’m known best for is my love of napping. Hello! I'm Kelly I have been a dental assistant with expanded functions for a little over 7 years now. After living in California for a few years I moved to Florida in 2014 and right away joined Dr. Nelson and this amazing team. Here I am constantly learning new techniques and improving my dental skills. Along with making lasting relationships with our patients. I speak fluent Spanish and I'm here to help anyone who needs translation. I am married and have 2 boys. We love traveling and trying new foods/restaurants.